Your mobile devices will now work everywhere. and in touch wherever you are, whenever you need, with the devices you rely on everyday. Iridium GO!™ is unlike anything the world has seen before. Powered by the world’s furthest reaching network, this compact, rugged and portable unit dramatically extends the capabilities of any smartphone or tablet by creating a satellite-backed Wi-Fi hotspot – anywhere on the planet. Iridium GO! instantly transforms your trusted device into a global communications powerhouse. For corporate climbers and weekend warriors, individuals, enterprises or governments, for anyone who is on the move, out of range or off the grid – by land or at sea – Iridium GO! 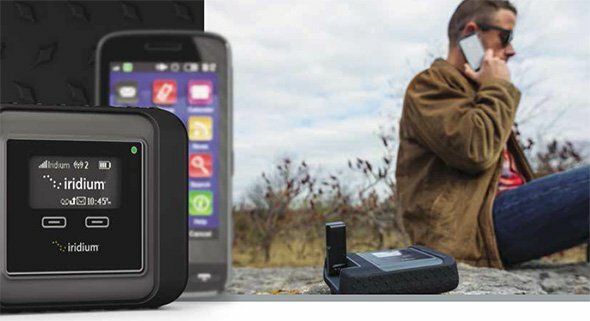 enables reliable voice and data capabilities for your smartphone or up to 5 mobile devices. 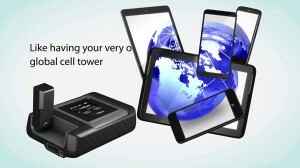 Simply flip up the integrated antenna and the battery-powered unit connects quickly and automatically to the Iridium LEO satellite constellation to create an anywhere Wi-Fi hotspot within approximately a 30.5-meter (100 foot) radius. Combining the best that both satellite and cellular phones offer, Iridium GO! is the first in a whole new category of personal satellite connectivity devices. It is also a powerful development platform optimized for Iridium partners to build applications.